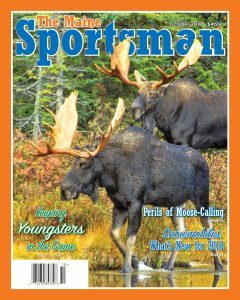 October is moose season in Maine, and this month’s issue of The Maine Sportsman pays homage in several ways – first, by featuring famed Maine wildlife photographer Mark Picard’s cover photo, titled “Two Bull Moose with Reflection”; second, by including a great photo taken by Jody Zeisloff of two bull moose sparring antler-to-antler along the shore of Big Spencer Pond (page 23); and finally, by treating readers to a special feature in which new writer Ed Pineau describes a truck-top moose-calling structure labeled “Moose Ridah,” and recounts the trials and tribulations of last season’s moose hunt. There’s still plenty of ATVing to be had, and Shane Brown (of Bangor Powersports fame) brings readers the best of the best, in his tell-all, “Five Great Destinations and Activities for ATV Riders This Fall” (page 19). 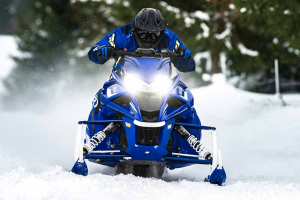 And when Shane gets on a motorized roll, there’s no stopping him, as demonstrated by his transition to early-season snowmobiling preparations, presented to readers starting on page 31 (“Snowmobiles – What’s New for 2019”). 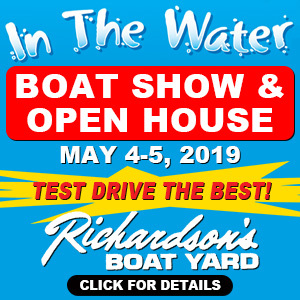 He describes in detail the latest models and innovations from Polaris, Ski-Doo, Arctic Cat and Yamaha. And for bowhunting enthusiasts, Val Marquez presents an outstanding piece (“To Consistently Kill Deer in Maine, You Need to Micro-Manage your Bowhunting Skills,” pages 24 – 25) in which he describes the meticulous steps he takes to control scent and avoid disrupting deer with excessive on-the-ground scouting – an approach he employs successfully year after year. 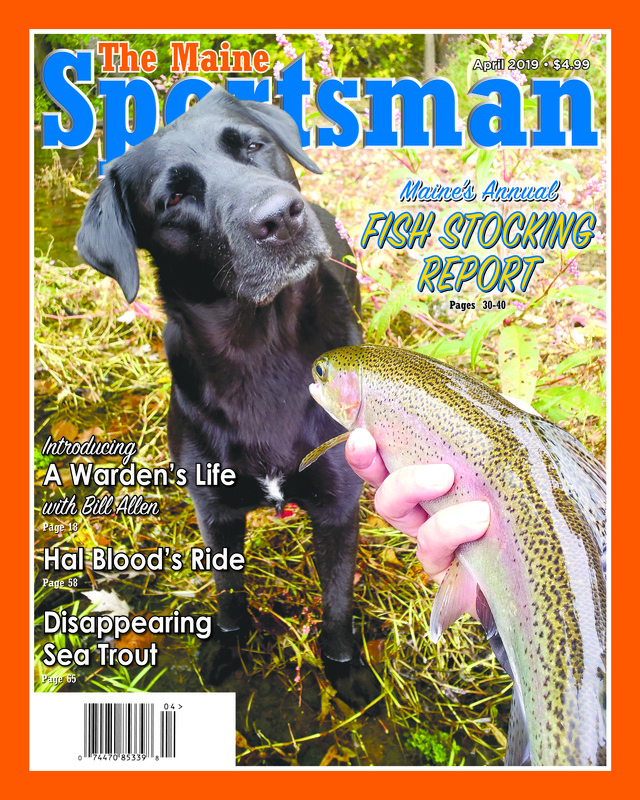 These special sections are complemented by offerings from our regular monthly columnists, including JC Allard’s “Shooter’s Bench” (on military rifles converted to hunting use), Bill Graves’ “The County” (upland game and waterfowl, including his usual excellent array of photographs), and William Clunie’s “Freshwater Fly Fishing,” in which he reviews pedal-powered kayaks, that leave hands free for fishing. So whether you are interested in a particular subject matter (like “Off-Road Traveler”) or a certain geographic region of the state (Down East, Western Mountains, Southern Maine), you’ll find some of Maine’s best outdoor writing on our pages. And don’t forget to chuckle at the “Smilin’ Sportsman” jokes, since our humor staffers get paid by the laugh.